Our former Partner, Senior Officer, Director and dear friend. 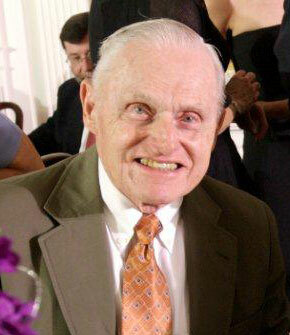 The Hamister Group family suffered a profound loss when Oliver C. Hamister, who helped establish our predecessor company National Health Care Affiliates, Inc., passed away on February 15, 2009, a day after celebrating his 83rd birthday. Oliver became a partner in National Health Care Affiliates, Inc., which was run by his nephew, businessman Mark E. Hamister, in 1980 when the company was just three years old. With his support and guidance, the company grew to become one of the largest healthcare service providers in the United States. Oliver joined the management team at National Health Care Affiliates, Inc. in 1982 as Senior Vice President, Administration, a role he kept until his retirement in 1995. During his tenure with the Company he brought a level of sophistication to central purchasing, insurance management and many other areas. He continued to serve the company as a partner and director until 1996. A World War II veteran who saw action throughout the Pacific Theater while stationed on the USS Mount McKinley, Oliver instilled in his family and in his co-workers the nobility of service and hard work. He was a great contributor to our business and he personified the values of honesty, trust and loyalty. Everyone at the Hamister Group and all of our associated facilities offers our deepest sympathies to Oliver’s wife, Julia; their two sons, Richard (Polly) and James (Michelle) Hamister; their daughter, Lisa (Fred) Bonebrake; Oliver’s brother, George Hamister; his seven grandchildren and his many family members and friends. He will be truly missed.